Many people have reported an error “Failed to initialize network” in Dragon Ball FighterZ, which causes the game unplayable. This is so frustrating, as you don’t know what you’ve done to cause the error. But don’t worry. There’s something you can do to fix Dragon Ball FighterZ failed to initialize network in your computer. Why does the error occur to my computer? In various situations you’ll see the error “Failed to initialize network“. 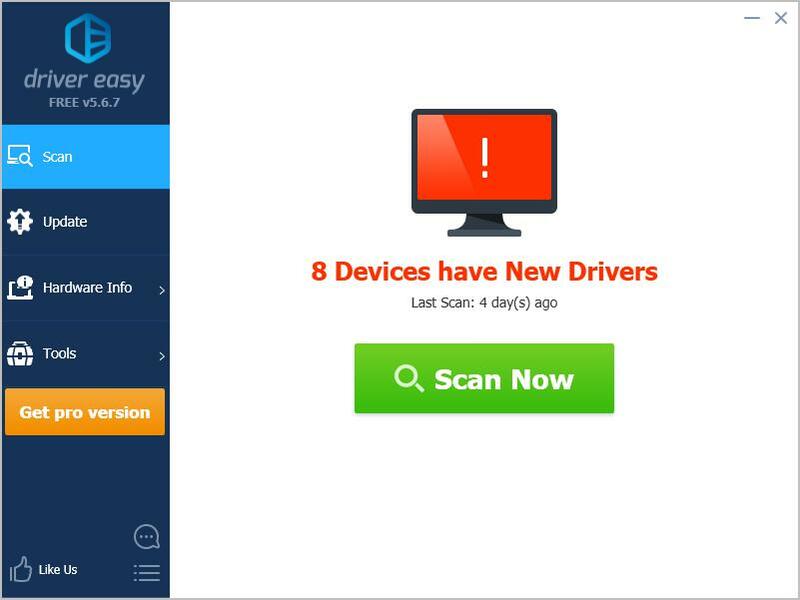 So you’ll need to troubleshoot first to identify the cause of your problem. Usually the cause of the Dragon Ball FighterZ network issue can be either the Dragon Ball FighterZ problem or your computer problem. If the Dragon Ball FighterZ servers are down or under maintenance, you’ll definitely see the error and can’t continue playing the game. In the mean time, your computer network stops working, and your game will fail to start and pop up with the error “Failed to initialize network”. In addition, your network card issue can also result in the network issue in Dragon Ball FighterZ. Here are solutions that have helped people resolve the error. You don’t have to try them all; just work your way down the list until your Dragon Ball FighterZ gets running again! To see what’s going on and find the solution, you should identify the reason of the error. If the servers for Dragon Ball FighterZ are down, or under maintenance, you, and everyone else who’s playing the game, will receive this error and can’t play the game currently. So you can contact the Dragon Ball FighterZ support and see if that’s the case. if so, there’s nothing you can do but just wait for the servers on line. Since the developers won’t inform you when the problem has been resolved, you should check periodically and see if it works. If other people can log in and play the game without problems, it seems the cause lies in your computer. You can choose another region and see if you can play the same. If that’s unavailable, or that didn’t fix your problem, it means that you need to do something in your PC. Then go to Fix 2. Since the error suggested that Dragon Ball FighterZ failed to initialize network, there may be something wrong with your network. So make sure your network connection works properly. 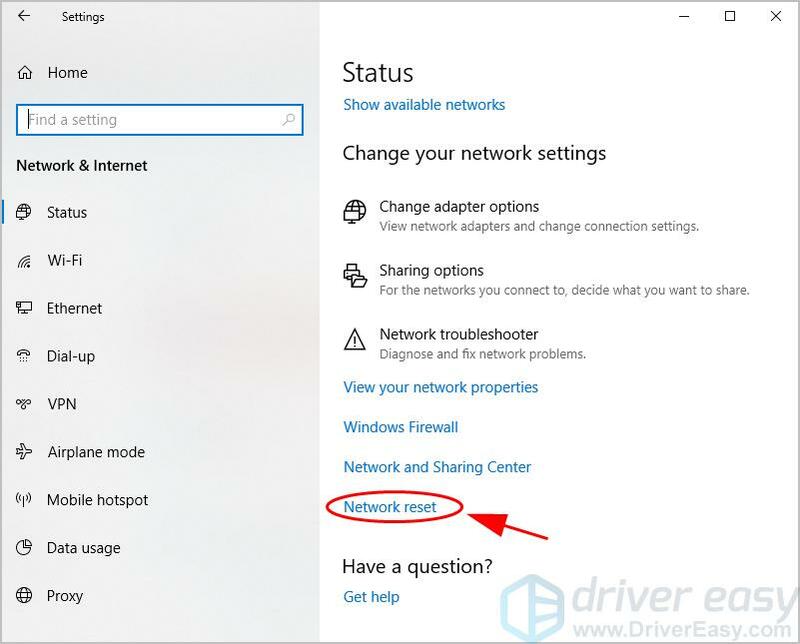 If your Internet works fine and you still receive the network error, you can reset your networks, which can rebuild the network connection and hopefully fix your problem. 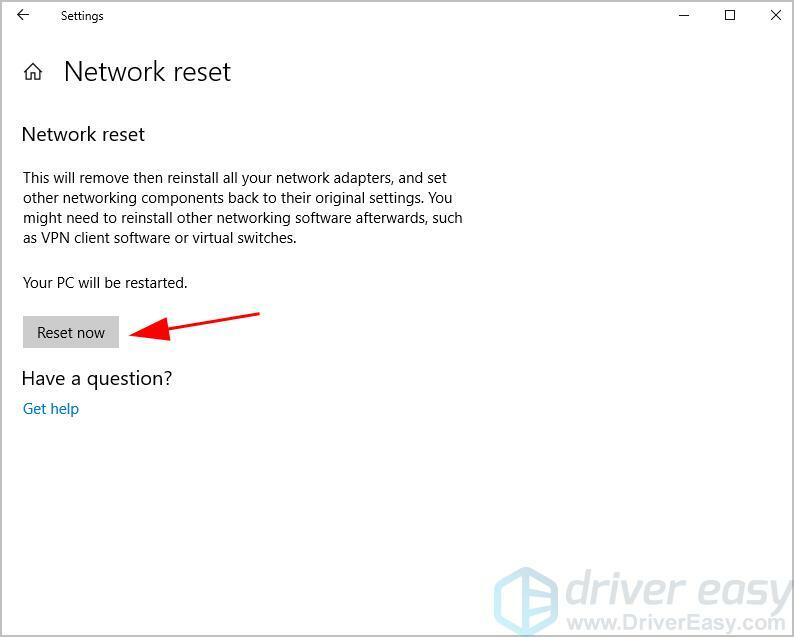 Note: Resetting network will reinstall your network adapter and set your network back to original settings. On your keyboard, press the Windows logo key and I at the same time to bring the Settings application. Scroll down and click Network reset. Restart your computer, and connect to your WiFi or Ethernet, then open Dragon Ball FighterZ and see if it works. 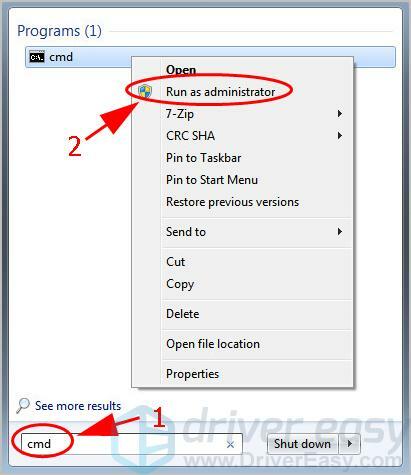 Type cmd in the search box on your desktop, right click cmd and select Run as administrator. Type the following command in cmd and press Enter on your keyboard. Wait for the command to run through the reset. 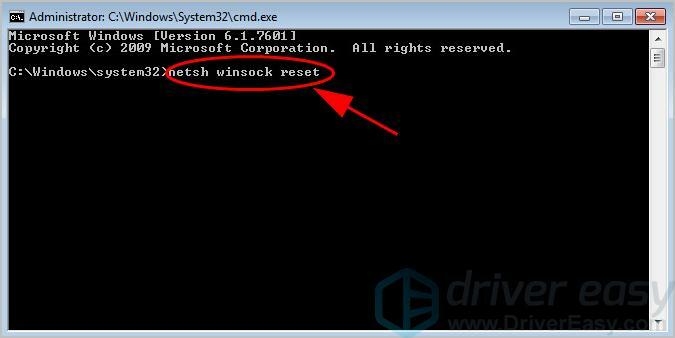 Once complete, you’ll see something like “Winsock reset completed successfully“. 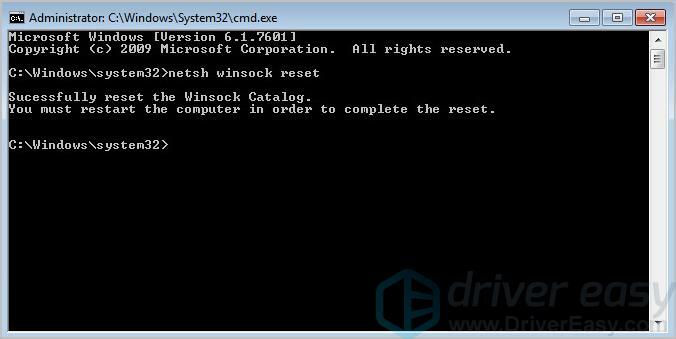 Exit cmd and restart your computer to finish. After restarting, launch Dragon Ball FighterZ and see if it works. If Dragon Ball FighterZ failed to initialize network still happens, don’t worry. There’s something else to try. Network adapter corruption can lead to the error ‘Failed to initialize network’ in Dragon Ball FighterZ, so you can update your network adapter driver to fix your problem. 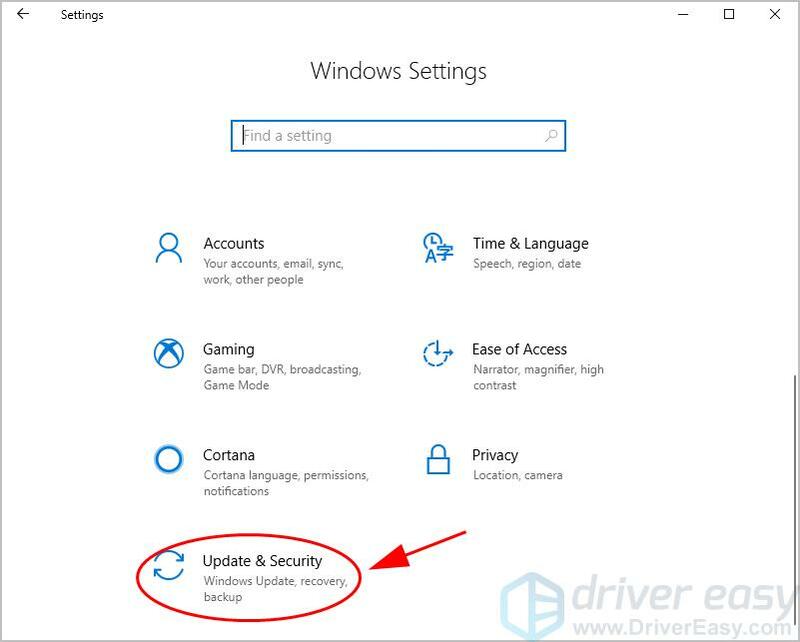 Manual driver update – You can go to the website of your hardware devices, find the latest correct driver for your network adapter, then download and install it manually into your computer. This requires time and computer skills. 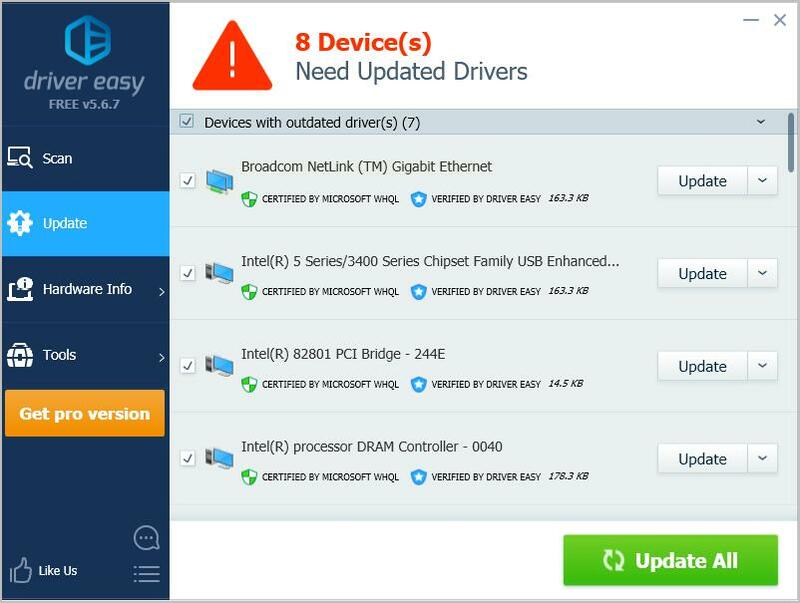 Click the Update button next to the flagged network adapter to automatically download the correct version of their driver (you can do this with the FREE version). Then install it in your computer. Open Dragon Ball FighterZ in your computer and see if it fixes your problem. 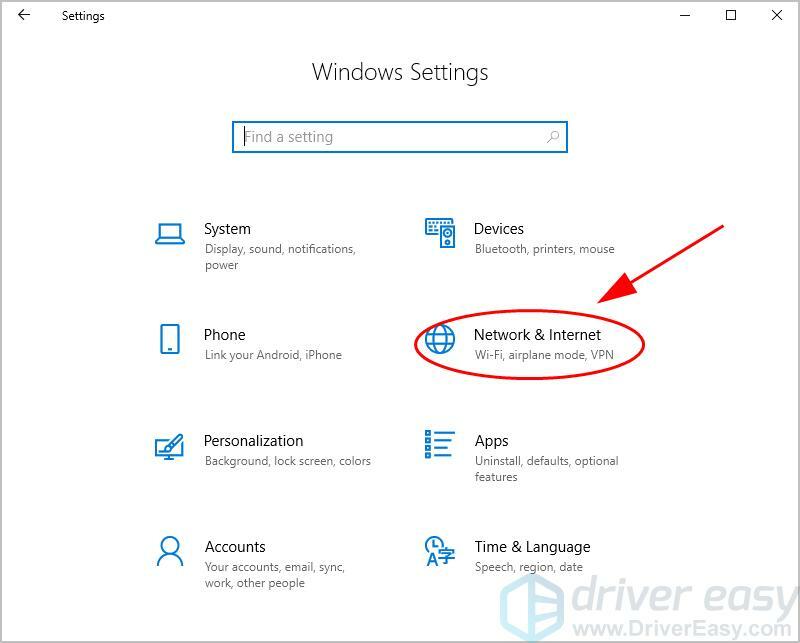 If you’re using Windows 10, you can update Windows 10 in your computer to fix Dragon Ball FighterZ failed to initialize network. This does a trick for many people. 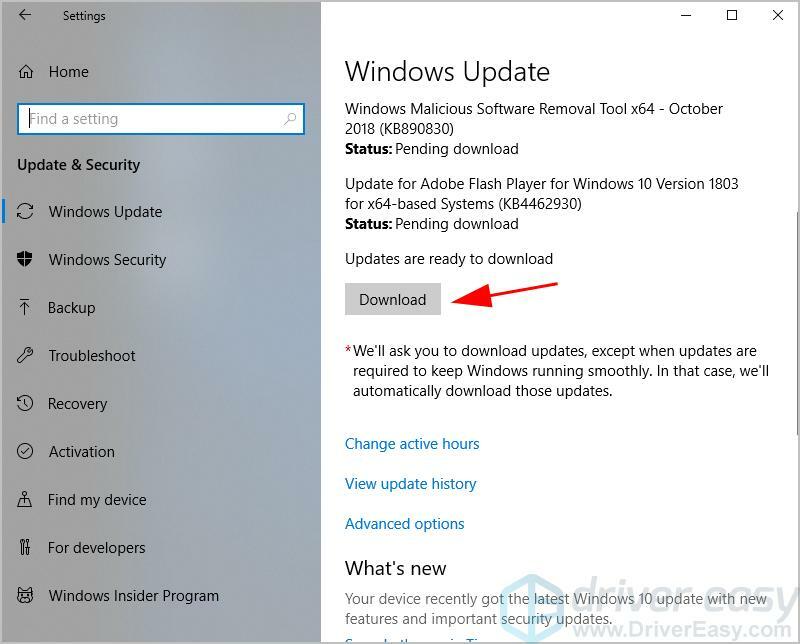 Click Download to download any available updates. Open Dragon Ball FighterZ and it should be working. 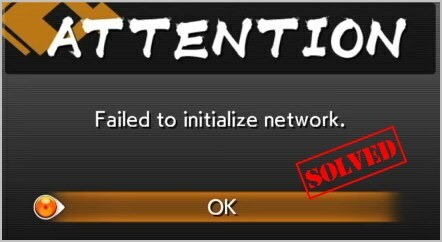 So there you have it – four effective ways to fix Dragon Ball FighterZ failed to initialize network. If you have any question, feel free to leave a comment below and we’ll see what more we can do.